One of the Royal Navy’s most advanced warships has arrived in Belfast to mark Armistice Day in the city. 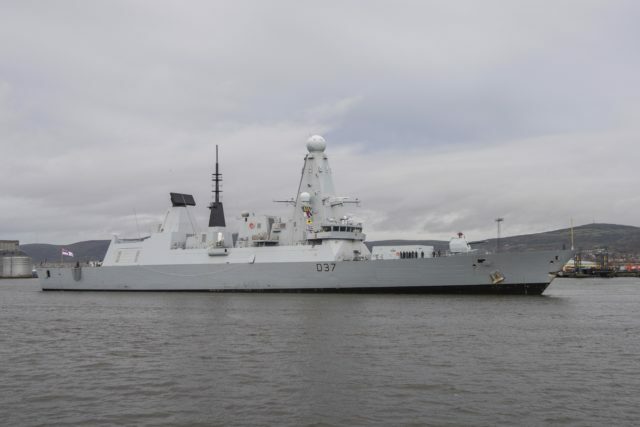 HMS Duncan arrived on Friday morning for its third visit to Belfast, one of its affiliated cities. Commanding Officer Tom Trent said it is a special weekend to visit Belfast. The ship will host its own remembrance service on board before many attend the cenotaph at Belfast City Hall and service at St Anne’s Cathedral. “It’s a nice opportunity for us as we are right in the middle of a busy and complex regeneration of the ship to get her back up to operating capability for operations next year,” Commander Trent told the Press Association. There is a busy itinerary of events which includes a reception for guests from services including the Police Service of Northern Ireland and Children’s Hospice, and welcoming cadets on board. Lisburn man Chris Kerr, 35, is among the crew on the ship. Able Seaman Kerr has been in the Royal Navy for just over two years, and in that time has travelled to the Mediterranean and the Middle East where he ticked a visit to Israel off his bucket list. “I was really pleased when I was told the ship was coming to Belfast,” he said. 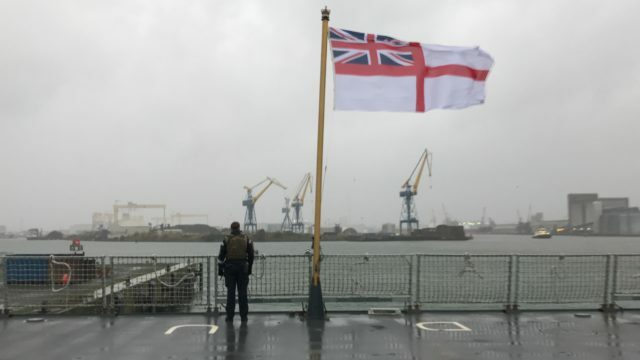 “It was a surreal moment arriving in Belfast, if someone had told me three years ago I would be coming up Belfast Lough in a Type 45 Destroyer, I wouldn’t have believed them. The ship’s chaplain, the Reverend Brent Van Der Linde, also has local links, having lived and worked in Northern Ireland for 17 years as a Presbyterian minister. “Joining HMS Duncan has helped fulfil a passion of mine to help exceptional people to reach their full potential,” he said. HMS Duncan returned to Portsmouth Naval Base in July after six months in the Mediterranean, Aegean and Black Sea. Commander Trent said the ship’s next operation is due to be in February. 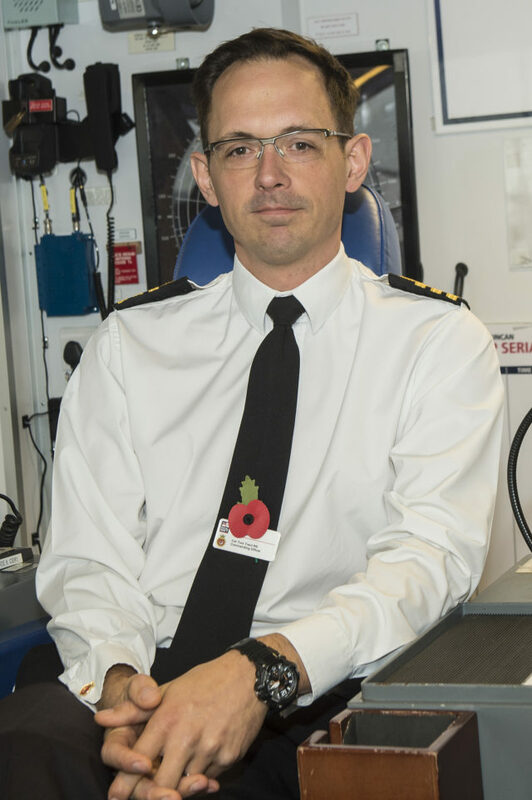 “The ship came back from a very successful tour where she was not only part of a Nato Task Group but actually commanded that Nato Task Group so it was a great opportunity not just for the Royal Navy but for the UK to play that significant role in the Nato group,” he said. Commander Trent took charge of HMS Duncan on August 29 after previous service on the mine hunter HMS Ledbury. “It’s such a privilege, 231 souls under my command, a big piece of steel under my feet which I get a chance to drive for a little while,” he said.